We welcome learners from age 4 upwards to our Folkestone centres. Our classes are calm, quiet places of study where achievements are celebrated. Our classes are suitable for those who are gifted and talented, those who need extra support with basic skills and concepts and those who want to be more prepared for tests and GCSEs. Our maths and English programmes are aligned with the learning outcomes of the National Curriculum from the Early Years right up to GCSE level. Sarah Hedley Dray is a highly qualified teacher of over 20 years. 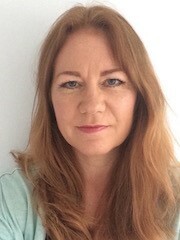 She has a wide breadth of experience teaching children and adults of all ages and abilities within the UK and overseas in International Schools. She has enjoyed working in mainstream as well as Special School environments. Having been a Head of Education, Sarah is passionate about providing students with the right kind of support to succeed. She has recently completed a PhD in Applied Psychology via research. Sarah teaches in all class sessions and overseas every student's progress, extending learning programmes whenever necessary. All of our small groups are supported by trained tuition assistants who have A grades (or equivalent) in maths, English and science. Many of our students enjoy collecting stickers on their charts which they then exchange for certificates and prizes! Sarah, the Centre Manager, will meet with you to discuss how we can help your child with maths or English. She will then complete an assessment with your child to determine which path is most suitable for them. Once we have established your child’s needs, we will create a personalised plan to support and encourage your child’s learning. If you feel happy with our plan, your child will soon start attending regular class sessions at the centre. In these sessions they will complete a short piece of work which will be marked and discussed, plus a detailed programme of homework to be completed before the next class. If First Class Learning is the right fit for you and your child, and you would like to arrange an assessment, please contact Sarah. She can answer any questions you may have, and book an assessment slot with you.